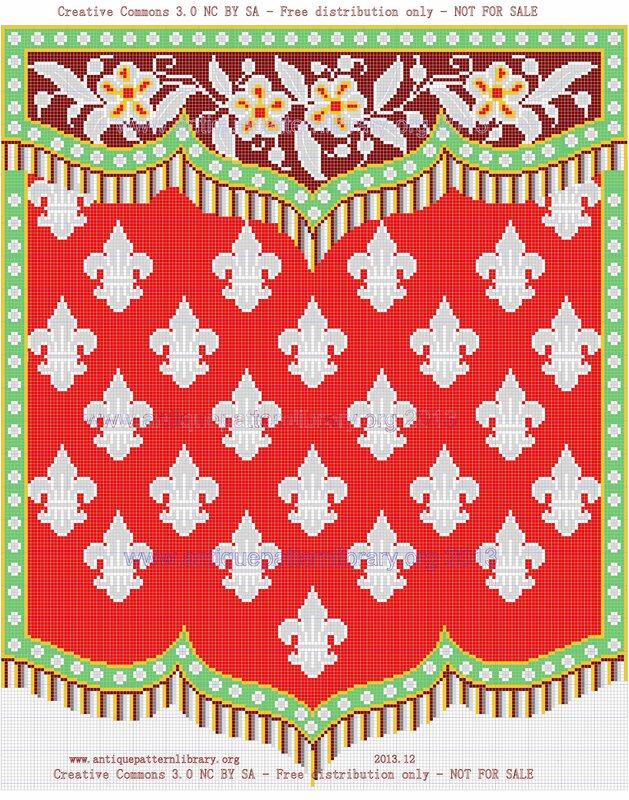 Charted multicolor pattern for hanging, chair back or screen featuring fleur de lys motifs on a fringed curtain with a header. Intended for Berlin woolwork, can also be used for needlepoint, beading, or cross-stitch. Photo and chart of pattern donated by Sytske Wijnsma.